Hiking in the Dolomites or a road trip to Corsica? That was my dilemma while I had to choose the destination and the travel style for my birthday trip. I never get tired of the mountains, and I like traveling by public transportation since I don’t have a car anymore (my small contribution to a greener planet). Still, I was keen to make a road trip again, free to stop wherever I felt like and to stay at a place as long as I wished. 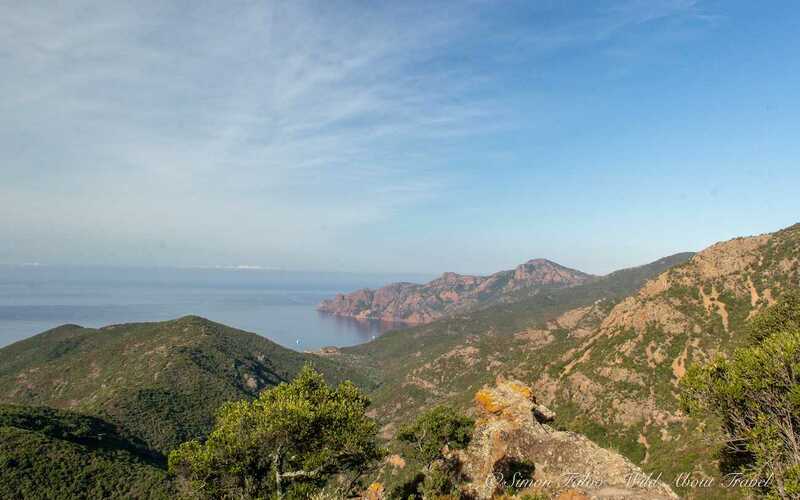 Corsica is one of those places, and only by car (or motorbike or, if you’re not scared by steep climbs, by bike), one can discover the contrasts of the Ile de Beauté as the island is often called in French. So I decided. 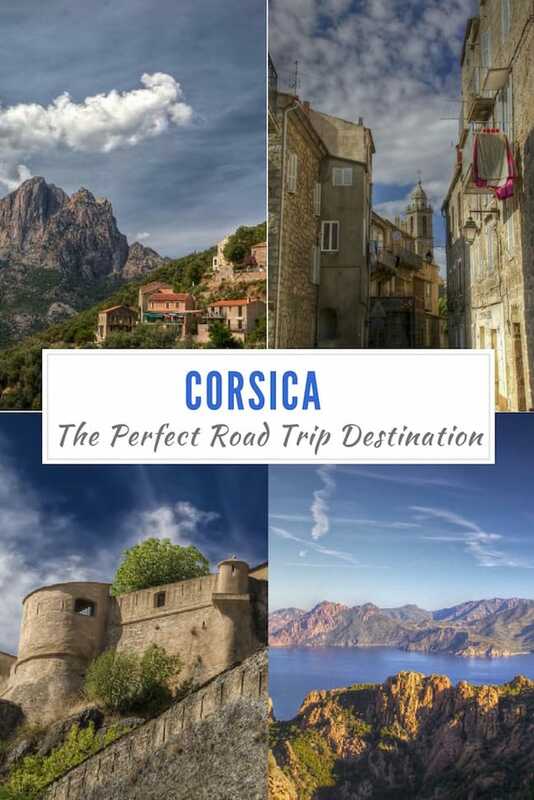 I would go on a Corsica road trip. I had visited Corsica several times before, but it was a few years I hadn’t been back and was keen to set foot again in one of my favorite spots in the Mediterranean. It was the perfect destination for a road trip to explore the hidden corners of the island I hadn’t visited before. It’s hard not to fall in love with Corsica because the island has it all (or almost). Breathtaking beaches with crystal-clear water, jaw-dropping mountain sceneries, delightful small villages where time seems to have stopped, beautiful forests and rivers, all in an area of about 8,800 sqm. I only had seven days, which is not much unless you want to spend all the time behind the wheel, allowing only a few short stops to visit. Over the years, I grew more and more fond of slow travel, willing to see less but experience and taste more. Map in hand, I decided to focus on Corsica’s western coast and crossing inland almost in the middle of the island. I would drive along the coast and to the mountains, visit charming villages, and also make a couple of short hikes. I like freedom when I travel, and try to limit planning as much as possible so that I can change my mind along the way. However, setting up a tentative itinerary allowed me to get a better idea of what I could see in Corsica in five days. From Ajaccio airport, I went directly to the car rental boot where everything went smoothly. In a matter of minutes, I picked up my car and started my road trip heading south and inland, to Sartène. 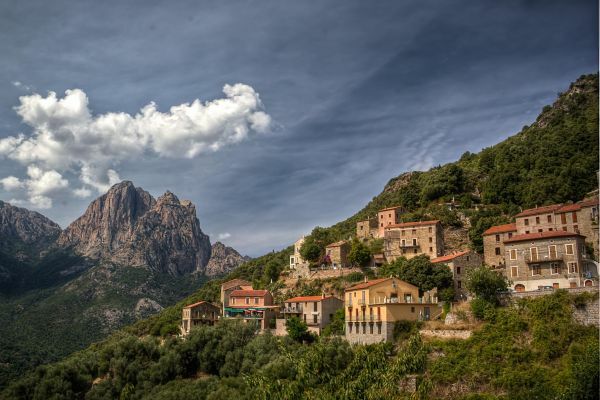 Perched atop a rock, with its medieval structure, narrow alleys, and granite houses, Sartène somehow epitomizes the essence of Corsica: secluded, introverted, sometimes even a little rough, although also capable of great warmth. As I often do, I explored Sartène wandering around aimless, getting lost in the tiny streets, and admiring the tall granite buildings which date back to the 16th century. Camera in hand, I couldn’t choose which corner I should take a picture of. They were all so pretty. The town is small, so even walking at a slow pace and stopping every few steps it didn’t take me long to discover the nicest spots. I took a break sitting on the terrace of a cute cafè, people watching and just taking in the sense of peace surrounding me. Crossing the pretty village of Zonza, the winding road toward the mountains rewarded me with stunning views. Here and there, I spotted wild pigs walking alongside the road, sometimes even laying unconcerned on the pavement and slowly moving away as I approached. All of a sudden, the Aiguilles de Bavella (the ‘Bavella Needles’) appeared on the horizon, beautiful rocks and peaks dominating the landscape. 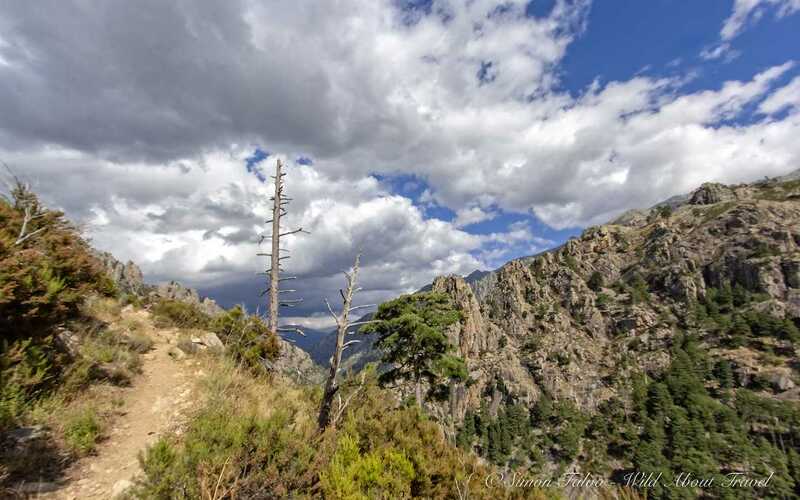 I had been anticipating a nice hike in one of the most scenic mountain areas of Corsica but when I arrived it was so unexpectedly packed that I gave up. The scenery is indeed breathtaking but it was far too crowded for my taste. Definitely worth going back in Spring or Autumn, though. Narrow streets leading up to the citadel, old houses looking a little unkempt and for that very reason all the most fascinating, this is Corte, the former capital of Corsica during the short period in which the island achieved the independence in the mid 18th Century. 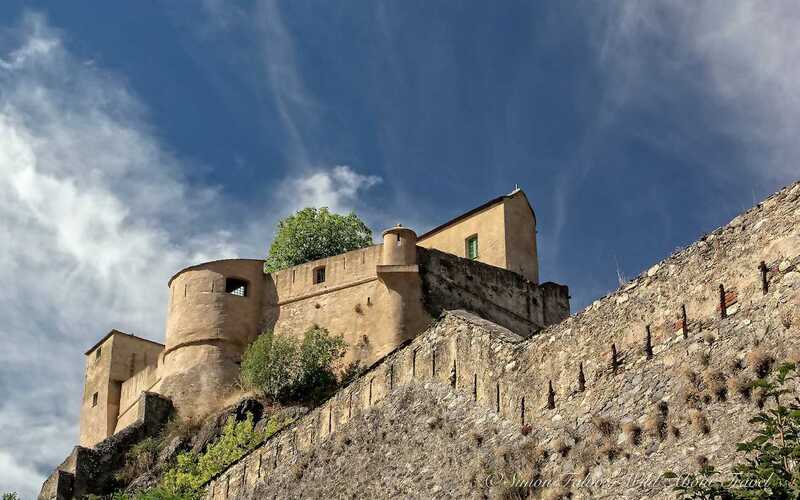 The Corsican Republic was short-lived, but the old town maintained its pride and scrupulously kept their traditions, starting from the language. 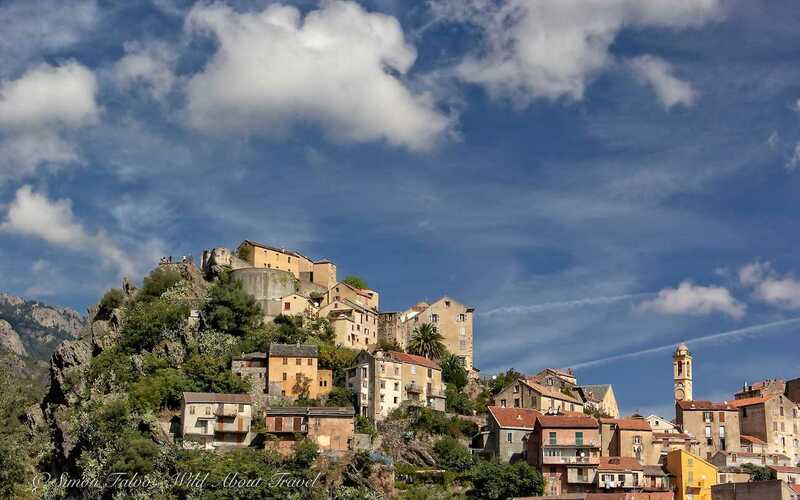 Seen from below, the houses perched atop the hill make for a lovely composition, while from atop the citadel overlooks the surrounding mountains and forests of the Regional Natural Park of Corsica. The nearby Restonica Valley, which I had never visited before, is well known for its beautiful hikes. I couldn’t miss it this time and after breakfast, I started the drive along the narrow and rather bumpy road. I picked up randomly one of the many trails and started the ascent, surrounded by breathtaking wild scenery. Rocks sculpted by erosion, green pine trees bent by the strong winds, and the clouds running fast in a cobalt blue sky. Surprisingly, I met only a handful of people hiking along the trail, which made my hike all the most enjoyable. The Restonica Valley ended up being one of the highlights of my Corsica road trip and a place I wouldn’t have been able to reach without a car. More winding roads through the mountains and then, the blue sea appeared on the horizon. Time for a change of scenery, from the rocks to water. I could hear my stomach grumbling, reclaiming attention. I approached Algajola, a pretty fortified small town along the cost, almost halfway between Ile Rousse and Calvi, and a lovely spot for a lunch break. I treated myself with a dish of delicious fresh fish and a glass of cold local white wine. The sandy beach was too tempting, so I went for a long walk and a short bath before entering the car once again. I continued my journey heading back inland to the enchanting village of Ota. 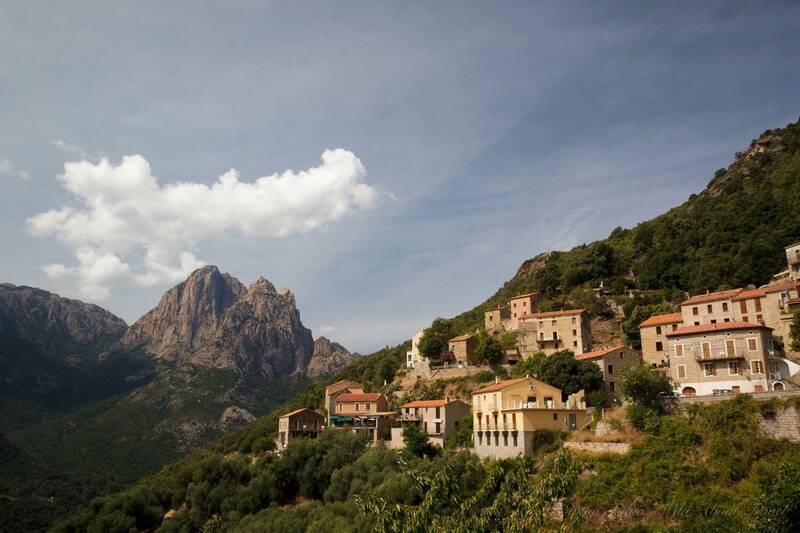 From the Gulf of Porto, sole UNESCO World Heritage Site in Corsica, the road climbs up to Ota, a delightful hamlet leaning against the mountain. It’s an oasis of peace, popular with hikers coming here for daily excursions or stopping along the Mare e Monti hiking trail. Small and secluded, Ota was the perfect place to relax and go for a scenic drive and a day hike to the beautiful Gorges de Spelunca. Back from my walk, I chilled out having a drink on a terrace overlooking the mountains and the village, watching the colors of the houses getting warmer as the sun started setting down. Ota invites to stop for a couple of days to enjoy the silence, the beautiful scenery and the life of the locals along the streets or at the bar. A corner of authentic Corsica I thoroughly liked. The last leg of the Corsica road trip was also the most scenic. I left Ota short after the sunrise and reached the Calanques of Piana when the sun was still low and the rocks shaded in pink, contrasting with the deep blue of the water beneath. I stopped at a couple of viewpoints, striving to catch as much as possible of this awe-inspiring beauty, willing to fix in my eyes and memory the sight of one of the most beautiful sceneries in the Mediterranean. Sadly, my Corsica road trip had come to an end and I took the road again, down to Ajaccio. As I drove back to the airport, I couldn’t help feeling a bit glum but also pleased because, after more than ten years, Corsica was as beautiful as I remembered it. It was only a goodbye. I know I’ll be back. Bastia, Ajaccio, and Calvi are connected by boat from Italy (Savona, Genova, Livorno) and France (Marseille, Toulon). If you plan to travel to Corsica with your own car in high season (July-August), I strongly recommend you to book in advance for better fares. Flights to Corsica from France and other European cities must be checked as some of them are only seasonal. Although I’d be curious to see Corsica in Winter, the best time to visit is from April to late September, mid-October. If possible, avoid July and August, which are the busiest months and also very hot for hiking. Additionally, should you visit Corsica in July and August, you should choose your accommodation and book well in advance. Allow plenty of time, as most roads are winding, often narrow and sometimes in poor conditions. Beware as well of animals crossing the roads (wild boars, goats, etc.). Drive slowly and with caution. Anyway, the landscape is so beautiful that there’s no need to rush. 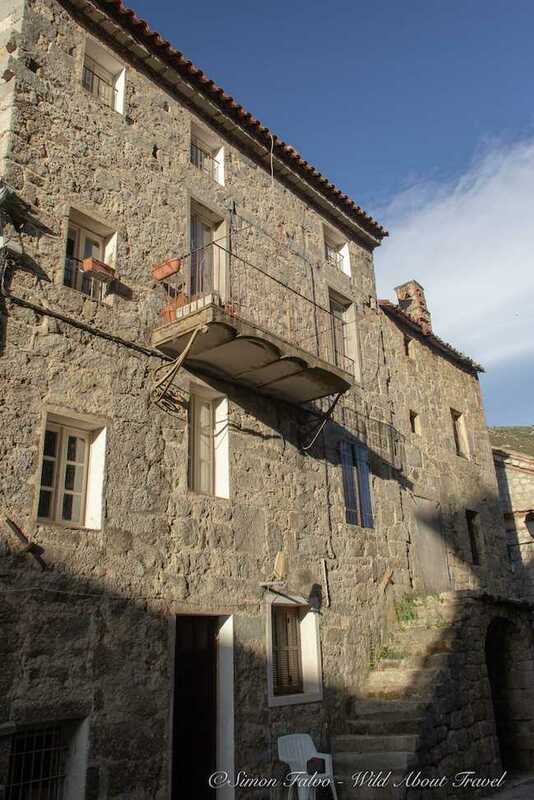 Corsica is not a cheap destination, especially if you are a solo traveler, so if you’re looking for budget accommodations your best bet is staying at the Gites d’étape, hostels popular with hikers, mostly in small villages and offering accommodation in dormitories, usually with half-board. Best Western Plus San Damianu: The hotel features modern and bright room with balcony, an outdoor swimming pool and a large terrace with superb views of Sartène and the surrounding landscape. Miramar Boutique Hotel: Modern and stylish, the Miramar Boutique Hotel overlooks the Gulf of Valinco and its beautiful beaches. Amenities include a heated outdoor swimming pool, a sauna, and a spa. Perfect for a romantic getaway and a relaxing holiday. Résidence & Hôtel Aria Marina: Overlooking the Gulf of Valinco, Aria Marina Hotel and Residence features tastefully decorated self-catered apartments with a balcony and a common terrace with superb views. L’Hostellerie du Moulin des Oliviers: A beautiful boutique hotel surrounded by a charming Mediterranean garden. The Hotel features all kind of amenities, including a swimming pool, private beach, spa, and fine dining. Hôtel Capo Rosso: The hotel boasts a wide terrace with superb views of the Calanche de Piana and the Gulf of Scandola, one of the most scenic areas of Corsica. Dominique Colonna Hotel: A stylish hotel with a wide terrace overlooking the river. Dominique Colonna features an outdoor swimming pool with sundeck and a spa. La Signoria: A superb hotel surrounded by a lush garden. A Signoria features wonderful amenities, including a swimming pool, a spa, a fitness center, and a gourmet restaurant. Hôtel La Villa: Modern and stylish, Hotel La Villa features five swimming pools, a fitness center and a spa, a tennis court, and beautiful views. Best Western Plus Santa Maria: The hotel features modern rooms with balcony, a swimming pool, access to a private beach, and a terrace from which you can enjoy the stunning view of l’Ile-Rousse and the sea. For my road trip across Corsica, I was kindly offered a complimentary car by Auto Europe, leading car rentals and service provider at competitive rates. I decided the itinerary and opinions, as always, are my own. I love hiking and have hiked world wide. We are going to be in Corsica and Sardinia next month. 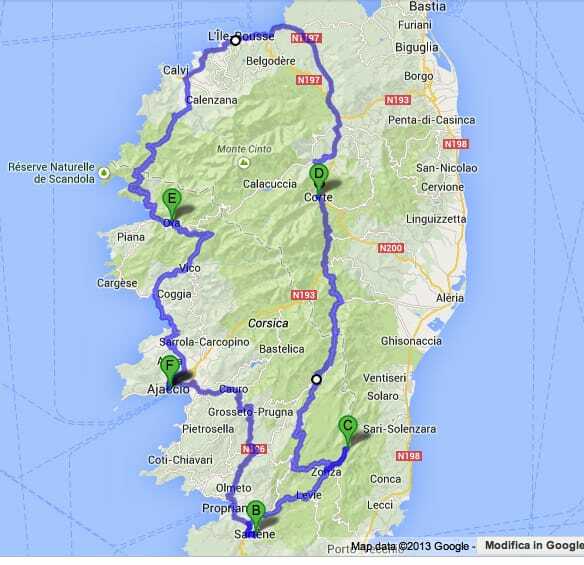 I was wondering how many days it took you for this Corisca Road trip? Hi Rachel, I’m so glad you enjoyed reading the article. My road trip in Corsica lasted 1 week, but there’s so much to do and see on this beautiful island that you can easily spend a month there. I’m sure you’ll enjoy Corsica and Sardinia. The islands are quite different, even if close to one another. Just beware, if you plan to hike, that Sardinia is much drier and that you’ll have much less shade than in Corsica. Corsica looks stunning! I’m hoping to do a similar road trip next month. I’m really looking forward to it after reading this post. Hope you’ll get to go to Corsica, Andrea. Wonderful island, perfect for road tripping! Stunning photos and useful tips, Simon. I’d love to visit Corsica someday. It looks a bit like Sicily with French accents. 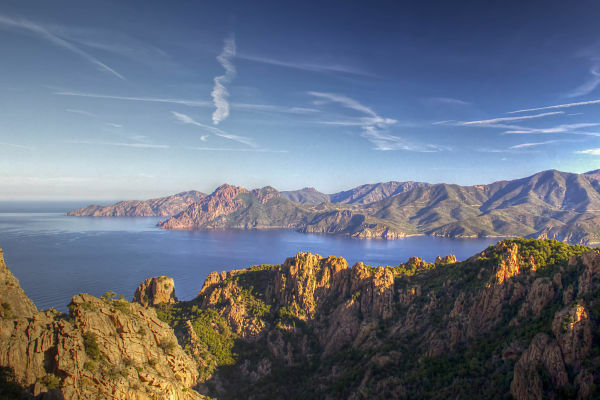 Your photos make us want to plan a trip to Corsica this year! Look at that village of Ota – so charming! 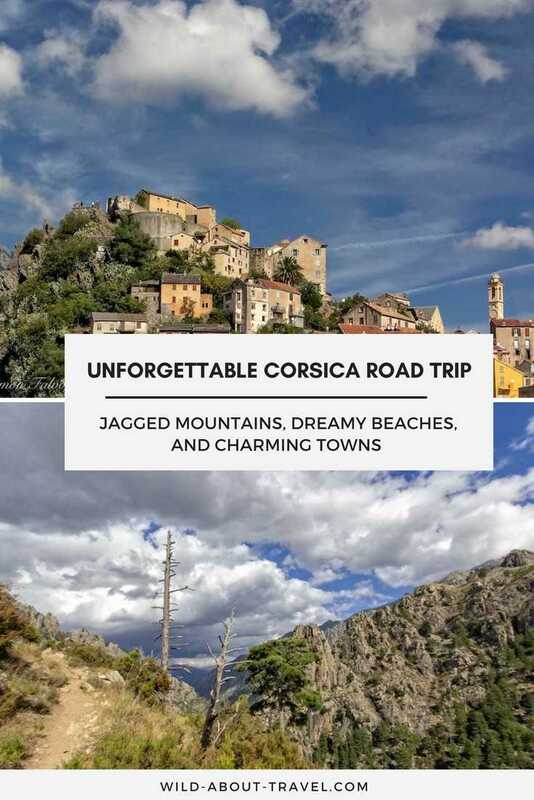 I’ve always wanted to visit Corsica – and what a fabulous set of images you’ve got that make me want to go. Corsica sounds great! Beautiful views….thanks for a wonderful narrative! Lovely photography of a very beautiful island. It’s one of my favourite places in the world but I haven’t seen much of the interior. I’d love to travel by train from Ajaccio to Corte and then down to L’Ile Rousse. I heard it’s a superb journey. As for driving in Corsica – I tried it once – not a good experience. It’s as flat as a pancake where I live. Give me a roaring motorway over hairpin bends and plunging drops with no barriers anytime. I made part of the journey with the little train years ago and loved it. We just did a road trip through Corsica in August. Gorgeous! I couldn’t believe the diversity of the country. I can’t wait to go back. Gorgeous shots! Thank you, Corinne. However, it’s not hard to get nice shots of an island which is so beautiful. You’re right, the diversity is what makes Corsica so special, an unexpected.